Powell accumulated 11 points (3-5 FG, 0-2 3Pt, 5-7 FT), 11 rebounds, three assists, and three blocks in 27 minutes during Tuesday's 120-109 win over the Suns. Powell amassed his career-high sixth double-double through 76 appearances this season, this after logging five in 2017-18. 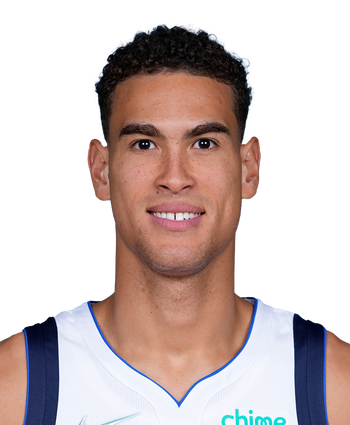 The 27-year-old big man is contributing career-high averages in points, assists, blocks, made threes, and minutes per game while maintaining solid shooting percentages from the field and the charity stripe, and he'll look to finish 2018-19 with another quality effort during Wednesday's season finale versus the Spurs. Powell pitched in 15 points (7-10 FG, 0-1 3Pt, 1-2 FT), four rebounds, one assist, and one steal in 21 minutes during Sunday's 129-127 overtime win against the Grizzlies. Powell rejoined the rotation following a one-game absence for rest and provided an efficient offensive performance. With that being said, five of the six reserves who saw the floor for the Mavericks earned more minutes than Powell. After averaging 14.3 points (60.3 FG, 42.9 3Pt, 80.0 FT), 7.6 rebounds, 2.4 assists, 0.8 blocks, and 0.7 steals in 31.5 minutes per game across 15 matchups during March, Powell will look to finish the season on a high note, and he has now reached double figures in scoring in six straight contests (dating back to March 26). Moreover, Tuesday's tilt versus an awful Suns defense represents another chance for Powell to fill up the stat sheet assuming he earns a solid share of playing time. Powell (rest) is off the injury report for Sunday's matchup against the Grizzlies. Powell will presumably return to the starting five Sunday after getting Friday's loss to the Grizzlies off for rest. He's scored in double-figures across each of his past five appearances. Powell (rest) is out Friday against the Grizzlies. After posting double-digit points in five straight games, Powell will be given the night off for rest. In his stead, Salah Mejri, Maxi Kleber and Dirk Nowitzki are all candidates to see extra run. Powell may be held out for loan management purposes Friday against the Grizzlies. 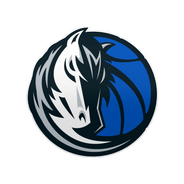 The Mavs appear to be leaning toward resting a few regulars, while Luka Doncic's status is also in jeopardy. Look for a more definitive update from coach Rick Carlisle at shootaround in the morning, but it wouldn't be a surprise if Powell is held out Friday.